Author Barbara Park has been amusing kids (and their parents! )for ages with her books about the adventures of Junie B. Jones, a sassy kindergartner/first-grader . 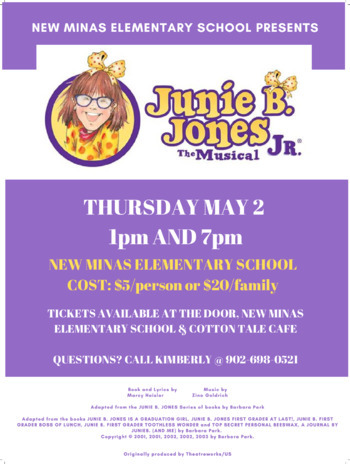 The books have morphed into a musical by Marcy Heisler (book and lyrics) and Zina Goldrich (music), which has in turn prompted the release of "Junie B. Jones: The Musical"
The story begins on Junie’s first day of first grade. where many changes are in store: Junie's best friend Lucille has found new best friends -— and Junie B. makes friends with Herb, the new kid at school. She gets excited about getting a new journal and a new lunch box . She finds herself on the outside of a clique of friends whose names rhyme with each other ("Nothing rhymes with Junie," she complains). She's disappointed when she fails to become a kickball star, but then overjoyed to discover she's a talented juggler. Adults will be just as engaged as their children when the chorus dramatically (and humorously) announces to Junie B. "You need glasses!" or when she leaps into the rollicking faux-spiritual "Now I See" once she gets those glasses. The musical, which is a little more than an hour long (plus a short intermission) is suitable for all ages. The plot allows for parents/guardians to have a conversation with their child(ren) about the character's choices and the natural consequences that follow. 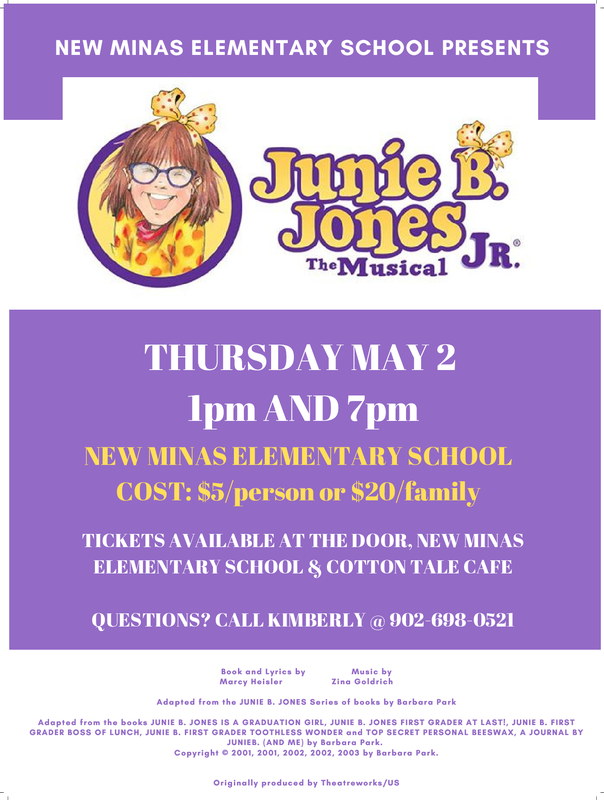 Junie B Jones: the Musical is directed by Mary Hanneman and Donna Carr along with musical director Wendy LaPierre. Tickets are $5 each or $20 per family .